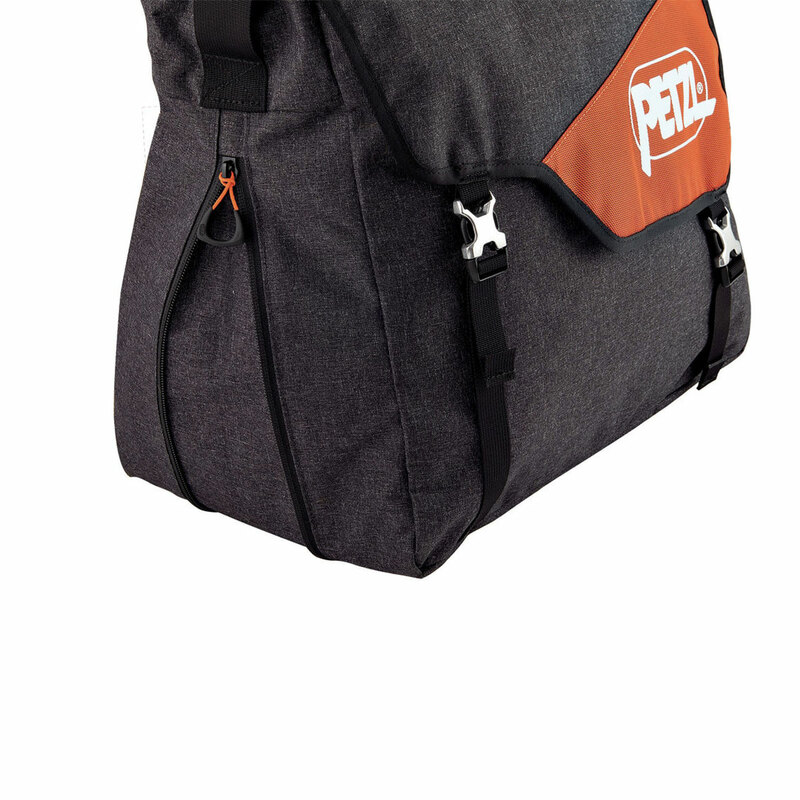 The Petzl Kab is a large volume rope bag that's mega practical thanks to its urban aesthetic. 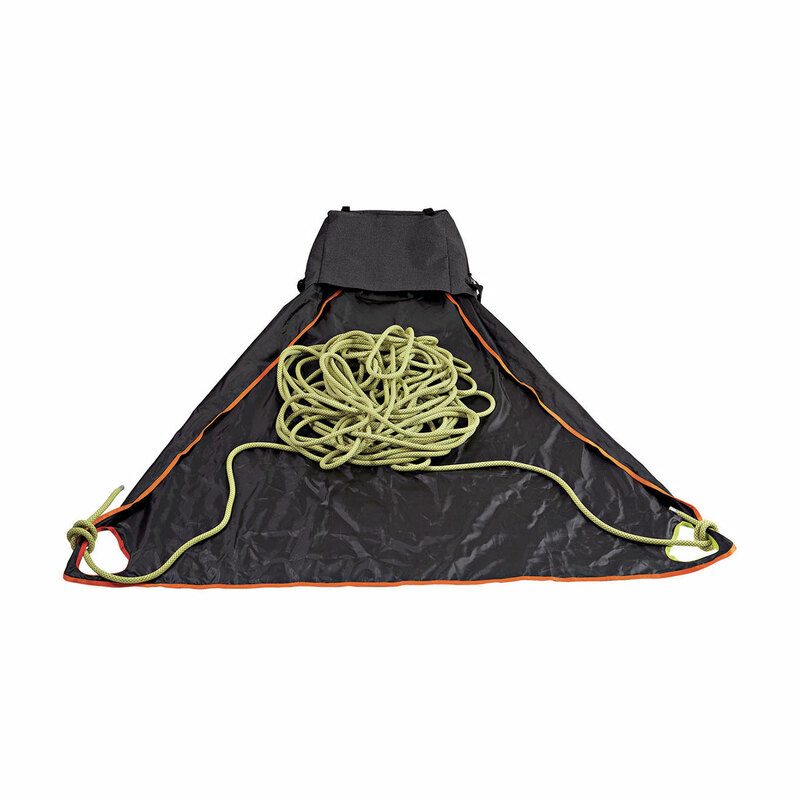 The Petzl Kab rope bag has an integrated trapezoidal tarp that provides a clean, 140 cm long groundsheet for the rope, while protecting it from dirt, leaves and gravel. Two separate compartments make it easy to separate your climbing gear from your work or school gear, while a zip along the bottom means you can expand the Kab to fit in more gear. Perfect for going straight to the climbing wall after work or school. Rope bag is designed for gym climbing with an urban aesthetic. 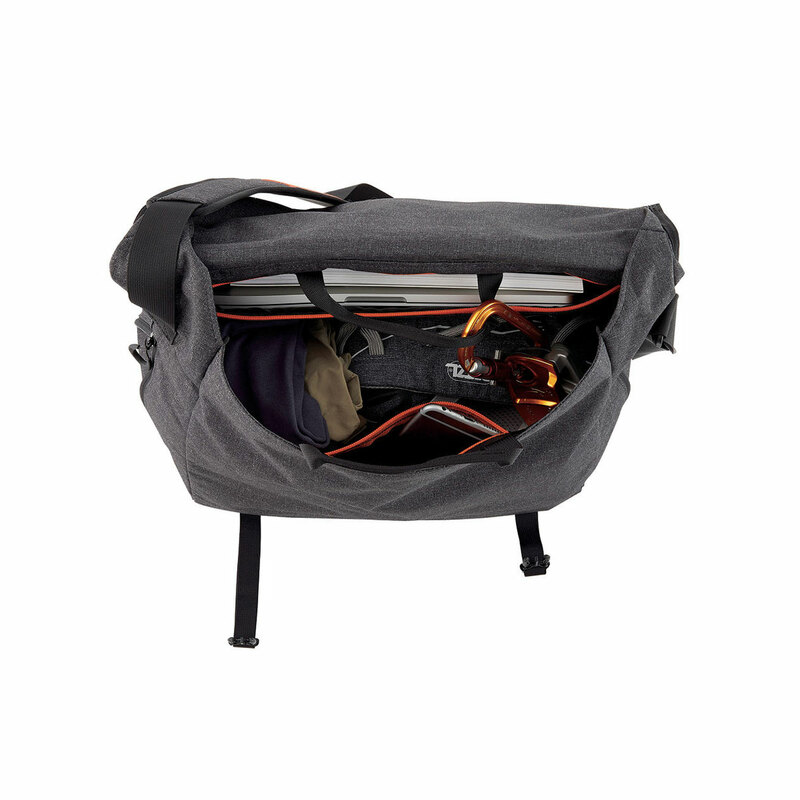 Two distinct compartments allow the user to simultaneously carry climbing equipment and other everyday items. I use mine for my 60m indoor rope and it’s just big enough. I like the built in tarp and rope anchor points as well as the loops inside to mount your quick draws etc. There is also a small inside zip up pocket and a zip pocket in the lid. 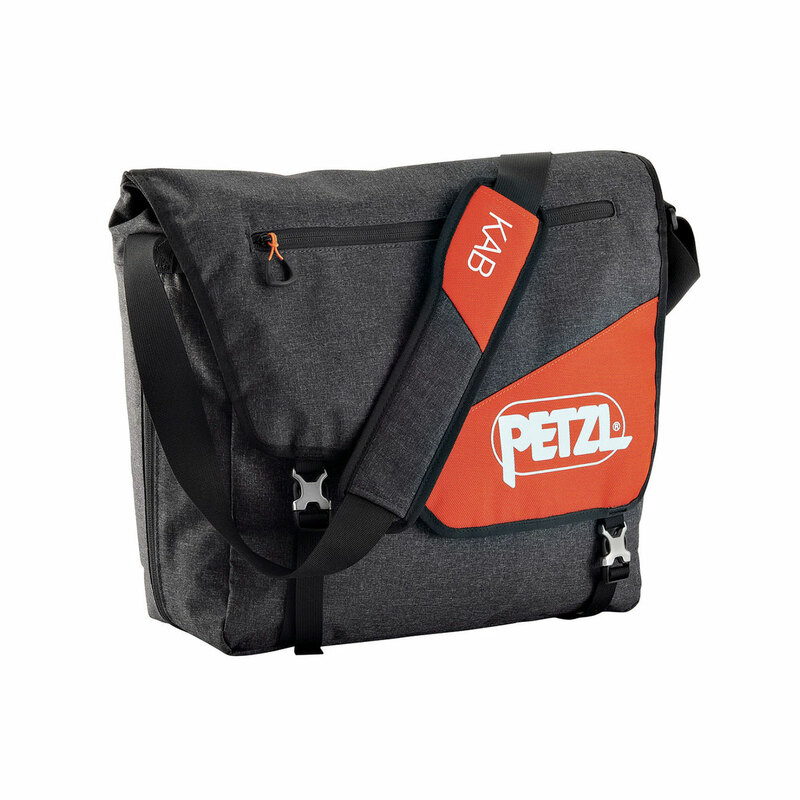 Bag can also be used in an open ‘bucket position’ with handy carry handles at the top edges. Only negative is that I with the bag had a hand carry handle on the lid to complement the shoulder strap when handling the bag when closed. I recently bought this bag. What I love the most about this bag is that you can use it standing up as a rope bucket, and the 2 gear slings at the inside. The small carry-handles are also very easy to move your rope from one route to another. The KAB has a pretty big opening, so it is easy to catch the falling rope in it, what makes it really easy to pack. Small pocket at the inside, and bigger zipped pocket at the outside are nice features as well. Although it could be a tad bigger. I have a 80m rope, 12 quickraws, harness, chalkbag, some biners, PAS and climbing shoes and it is a really close fit. If it is loaded to max. capacity, it makes the bag uncomfortable to carry. So in fact you would need a second bag for your other stuff, especially if you are also taking a water bottle, and some snacks for ex. Love the bag, bought it for my indoor gym rope. Ended up buying another one for my outdoor rope because I thought it was great. Good size, perfect with the extra pockets, good size tarp. Could maybe have a little bit of a better comfort for carrying it. Although, when I was looking for a second rope bag nothing in the same price category could match this bag.